With a specialty in strategies to address difficulties with asset quality, investment risks or returns, and/or liability structures. Ongoing risk management and return optimization. Credit and interest-rate risk management, with a specialization in asset-backed and derivative securities. Arranging financing via securitizations, private placements, and direct investments. Loan originations, servicing, collections, and default management. InvestRAM's president has proven success in creating new companies and divisions that became highly profitable industry leaders. He founded one of the first asset-backed securities firms in the U.S. and orchestrated the first publicly registered mortgage conduit transaction recorded in the nation. InvestRAM's president was among the first to utilize the "good-bank / bad-bank" approach to address weak asset problems. 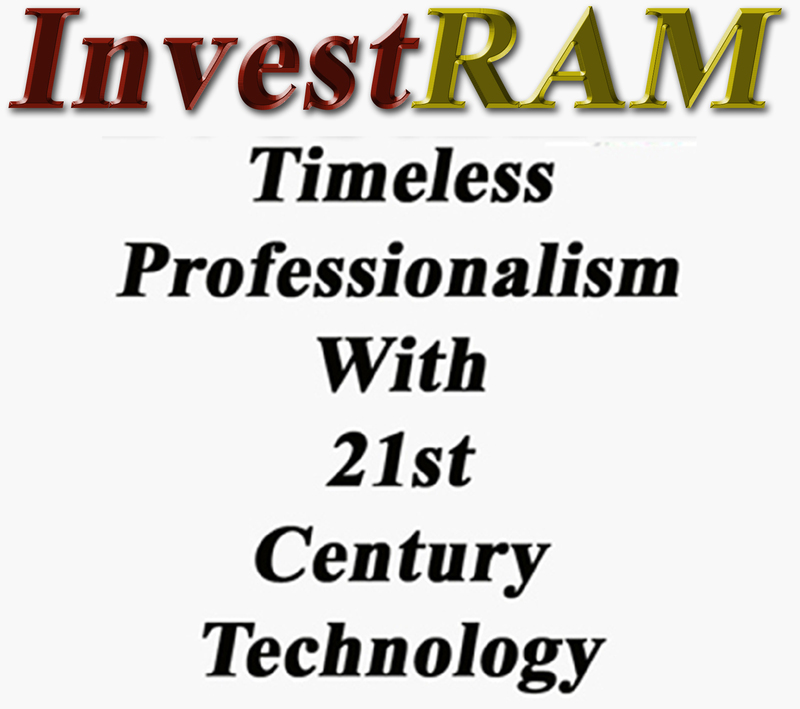 InvestRAM's president has installed and utilized operating systems for strategic balance sheet management, profitability and performance management, and financial accounting. He was on Ellie Mae's advisory committee for the formation of Encompass, a mortgage lending, pipeline management, secondary marketing, and servicing system. InvestRAM's president established Freddie Mac's first investors' relations function, which in its first year received an annual award from the Public Relations Society of America for "the most outstanding investor relations program planned and executed." - Pipeline risk management and hedging. - Loan servicing, collections, evictions, and foreclosures. - Special purpose financing programs. - Mortgage-revenue bond issuances and administration. - Low income housing programs. - Mortgage and lease servicing. - Securities trading and market making. - Whole loan packaging and trading. InvestRAM's president, Mr. Ronald D. Struck, has a uniquely broad and in-depth background in providing corporate financial services to corporations and institutional investors, both as a senior executive with them and as an advisor to them. Mr. Struck has served as a CEO, COO, CFO, and managing director of Freddie Mac, savings banks, securities broker-dealers, a mortgage insurance company, a real estate developer, and a homebuilding company. Since starting InvestRAM in 1993, he has advised a wide range of companies. Mr. Struck founded Freddie Mac's capital markets function and served as a key member of its asset-liability management committee during its earliest years. As a senior executive there he was responsible for the corporate finance and investment banking activities for Freddie Mac's first MBS programs. He established and managed the MBS trading, hedging, clearing, institutional sales, and broker-dealer desk placement functions. He personally received recognition from Forbes magazine for having "… opened up the bond market to the conventional mortgage industry." At California State University, Fullerton, Mr. Struck served as a member of the Advisory Committee - Banking and Finance Department from 2002 through 2007 and the Advisory Committee - Business Planning Department in 2007. He was also a part-time instructor of courses in finance and banking there.